The swim team had their end-of-season banquet, and Ane learned that… she lettered!!! I think she now wants a letterman’s jacket or something. Pretty big stuff for her freshman year of high school! This entry was posted on Thursday, November 15th, 2018 at 12:18 am	and is filed under Children, School Days, Sports. The “Most Inspirational” is quite the honor!! 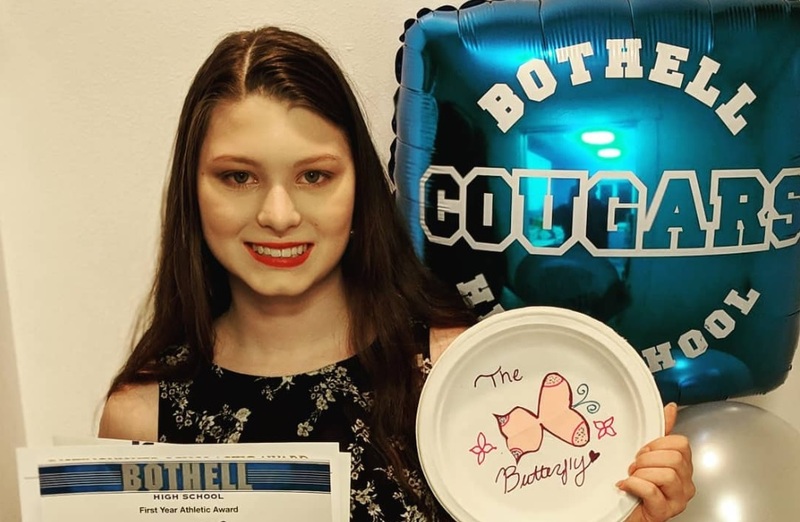 And hooray for “The Butterfly” plus the academic award – and she has just begun….